On Friday night I was lucky enough to win tickets to Havana Club’s ‘Nothing Compares to Havana’ rum tasting evening at Kettners in Soho where we learnt about the history of rum, made mojitos in a cocktail making workshop and sipped aged single barrel rum paired with Cuban chocolate. Sadly, I didn’t have my camera with me and to be honest by the end of the evening there was no hope of controlling manual DSLR settings! It dawned on me on my way home that these were the first really good bar made mojitos since my trip to Cuba back in 2011. Following that trip, I become a massive fan of Havana Club rums and a mojito snob. I rarely order them in London now as they usually taste sour or too much like washing up liquid and I ineviatably end up sending them back, preferring to make them myself at home. Most bars serve them with crushed ice which dilutes the flavour too much so be sure to use ice cubes as they do in Cuba. Sparkling water is also more authentic than soda but either is fine. I’m sure you have already noticed my ‘make everything mojito favoured’ obsession in my previous posts for mojito ice cream and cupcakes so thought it was about time I shared the recipe for the correct way to make my favourite, and the most popular cocktail in the world. Spoon the sugar into a tall glass and add the lime juice. Lightly squash the mint to release its oils and add to the glass followed by the rum. 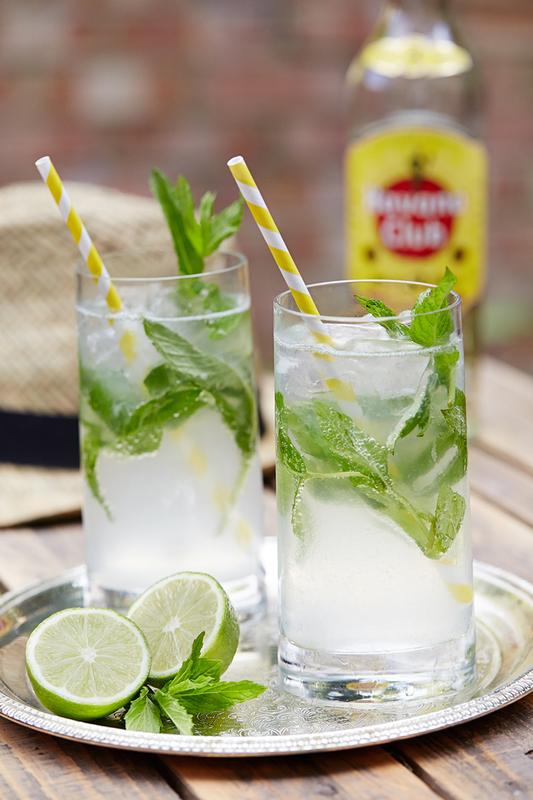 Muddle everything together and the add a handful of ice cubes, top with sparkling or soda water and stir. 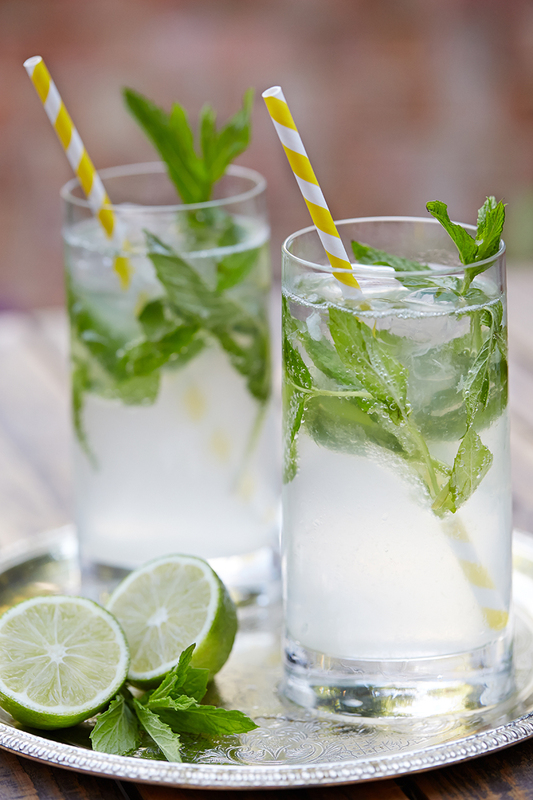 Garnish with a sprig of mint, add a straw and enjoy! Salud!